Top 10 Tuesday (21). Vivid worlds/settings. Hosted by: The Broke and The Bookish. Top Ten Most Vivid Worlds/Settings in Books. 1. The magical world of Harry Potter. J.K Rowling uses so many details in the Harry Potter books. From the way they can transport (Thestrals, Flu powder and Apparate are my favorites), the different food (chocolate frogs with the moving wizard cards, yeah), the secrets in Hogwarts and the places they visit to the vivid characters. 2. The world of Tamir - Lynn Flewelling; Skala. Tobin is actually a girl, hidden inside a male body by dark magic. She must be protected, because she is the girl from the prophecy. She/he is haunted by a ghost and she has no idea what is waiting for her in the future. The land is plunged into darkness and is suffering under the hand of King Erius. In the beginning is a map and I have a weak spot for maps. 3. The dark times - Markus Heitz; Ulldart. Such a shame that these books aren't translated into English. There are 9 books and they are fantastic! Detailed, rich and filled with amazing characters. There are several story lines and the world of Ulldart is a wonderful place to stay. The main story tells about a prophecy which claims that The Dark Times will return. And there are maps in every book and a list with names. Heitz is a true genius. I've read these books in a short time, because the quality is high. They never get boring and I love them so much + the covers are SO pretty. 4. The seven waters - Juliet Marillier. A beautiful house in an enchanted forest, do I need to say more? This is the place where everything starts. As you all know, I'm a huge fan of Marillier's writing style. Her books have a Celtic influence and it's just magical. All her characters are admirable. They are flawed, but also strong and loving. There are several other places and ever time I read those books, I can see them in my head: like I'm walking right there. There is also a map and a list with names and words. 5. The court of The Tudors - Philippa Gregory. It's a delicious place in books. Gregory does a wonderful job at sketching life at court. Everybody is trying to gain more power and money - and they will do anything to achieve that. There are no true friends. You can trust no one, because they will stab you in the back if they have to. Intrigues, plotting, a King who can't make up his mind, I love it! 6. Ancient Metropole - Christoph Marzi. Another series that isn't translated into English. 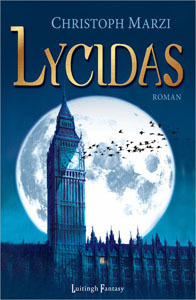 I only read Lycidas & Lilith (the other books are still only available in German) and I love it! It's a world which exists under London. It always reminds me a bit of Harry Potter. It's filled with magical (scary) creatures. There are werewolves, fairies, demons, talking rats; name it and it's there. Emily is the main character and she is such an intelligent, sweet girl. Together with her best friend Aurora and new made friends, she must unravel the mystery that is going on. Why are there so many disappearing children? 7. The forest of hands and teeth - Carrie Ryan. Not a place where I would like the live, but it's a beautiful creation. It's a dark place with scattered cities, ruled by The Sisterhood. Everybody believes that they are the only survivors, but it appears that there is a world behind the gate. Most of the world is filled with Unconsecrated, moaning for flesh, but there is more. The descriptions are incredible. 8. The treachery of beautiful things - Ruth Frances Long. Forget those sweet faeries, this is the real deal. They are beautiful, but deadly. They are selfish, but they live in a gorgeous palace in a forest. There are so many creatures there and the details made this place very vivid. 9. The Fey kingdoms from The Iron Fey - Julie Kagawa. First; it's Julie. If you want a great world-building, you must read her books. Second; I want to meet Puck & Grimalkin, so we can be best friends. Third; the different courts sound fantastic and I would love to visit them. 10. The world of the fairy tales - Several authors. Wouldn't it be amazing to walk besides Cinderella when she visits the ball? Or to live with Snow White and the seven dwarfs? Or to watch Belle and the Beast dance together? So, tell me all about your freebie! I'm always surprised at how many books aren't translated into English. Wish they were! Some of the best books I've ever read are short books you can read in a night. 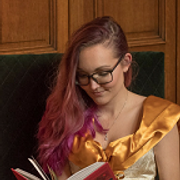 Here's my Top Ten Best One-Night Reads! Yea for Harry Potter! (I just had to get that off my chest). I also find it a shame that more books aren't translated into other languages (and not just English), there are so many amazing novels out there and find it tragic that they can't be shared with more people. On that note, I must say you have a wonderful list! Great list! I've only read two of these series (HP & Iron Fey), but I agree with the amazing way the setting/world is described. Thanks for stopping by Book Sojourner! I love the worlds of both Harry Potter and the Iron Fey. Great picks! Thanks for stopping by our Top Ten! Great TTT topic choice & GREAT list! I (obviously) couldn't agree with you more with you number 1 choice. The Magical world of Harry Potter is by far my top pick for favorite magical world ♥ Definitely agree on the world of Fairy Tales as well :) The Seven Waters series & The Iron Fay series are pretty high up on my reading list! Can't wait to get into both! Thanks for sharing. Old follower, here's my TTT this week. So glad you added the fairy tale world; I love fairy tales! Thanks for stopping by my TTT! Love your topic, world building is so important and I appreciate all the great recs. I've heard good things and Juliet Marillier's & Philippa Gregory's books. And I've had my eye on The Treachery of Beautiful Things so I'm glad to hear the world-building is well done. Aaah I accidentally deleted your comment! :( My phone and I don't always get along... But thanks so much! I am dying to read The Forest of Hands and Teeth. One of these days I am just going to have to bite the bullet and do it. Harry Potter has to be a must for me too. There is no other world I know better. :) I love Julie Kagawa's settings too! She is very imaginative and always manages to get her ideas across so vividly. I definitely agree with HP, The Iron Fey, and the world of fairy tales! I had a few trifles with the Iron Fey series, but the world-building is absolutely astounding. I totally agree with Carrie Ryan and Julie Kagawa's worlds! SO vivid!! I really want to try the Seven Waters series though! It sounds fascinating! I haven't read all of these, but I definitely agree with Harry Potter (that's why I love the movies, it portrait the same world I had imagined), and the Iron Fey world. Great list! I love the world J.K. created in those books. Magical and so easy to lose yourself in. I need to read my 1st Gregory historical. I would definitely have to agree that the world of Harry Potter is by FAR the absolutely best world setting I have ever read about. Of course the movies helped out a TON as well. I mean, I don't think there was ever a time where I didn't think that the world of Harry Potter wasn't real. I grew up in that world right alongside them and they will always be some of the best friends I have ever had. LOL... I know that's deep for fictional characters, but when you grow up with a series over a 10 year period of time, it hard NOT to feel like they are real. Thanks for stopping by my blog earlier, returning some of the love <3. I agree with so many of these! Harry Potter's world and Sevenwater and Tudor England (though Gregory did have an easier time here considering it was a real place!). I loved this prompt when I did it a while back. Great choices! I agree with HP and The Iron Fey! The Forest of Hands and Teeth was also a very crazy setting thought I have to agree about not wanting to go there! I definitely agree with you on HP. Fantastic world-building there. But most of these I have not read and I am a huge advocate of strong settings so I hope I can get to them too. This is a great topic and I am glad you chose it! And of course the Nevernever! Good list! I've read the HP series (up to novel 5) and The Treachery of Beautiful Things and I agree that they do have amazing settings. The visual you get from reading them makes you feel like you're actually in the book. The experience is breath taking:D Great list! Great list! I haven't read a lot of these, but I completely agree about the fairy tales! Love! I really liked the world building in HP too & I just started reading the Iron Fey books for the first time. Review 100. Cassandra Clare – City of Bones. Top 10 Tuesday (23). Released 2013. Mel in Movieland | Books-to-movies, part two. Review 98. Gennifer Albin – Crewel. WoW 25. Beauty & The life beyond. Review 97. Suzanne Weyn – The night dance. Mel in Movieland | Books-to-movies, part one. Review 96. Julie Kagawa – The lost prince. Top 10 Tuesday (22). Deserted island. Review 94. Alethea Kontis – Enchanted. Review 93. Carrie Ryan – Hare moon. Review 92. Gail Carson Levine – Fairest.